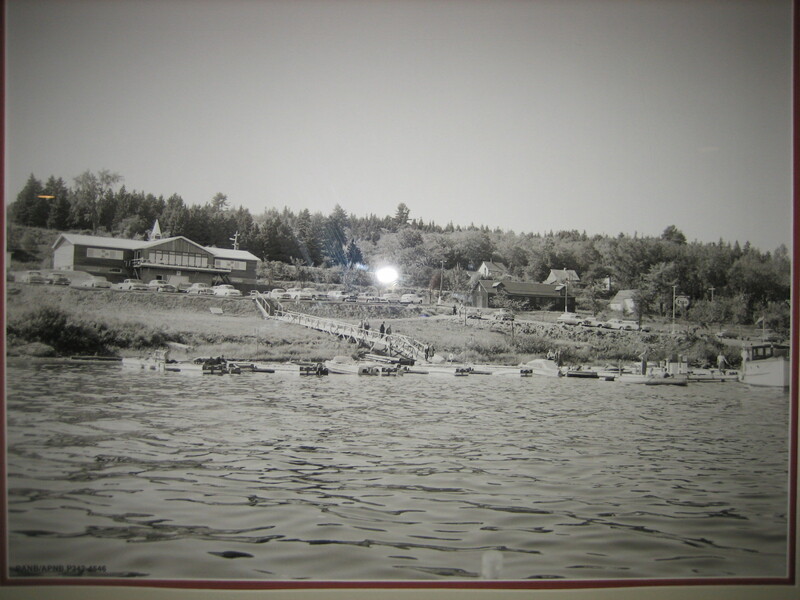 What follows is a partial history of the Fredericton Yacht Club, which recently celebrated its 50th anniversary as an organization dedicated to the recreational use, enjoyment and preservation of the Saint John River system. The Club operates facilities in the City of Fredericton and at Douglas Harbour, in Grand Lake. Its members engage in cruising, racing, and afternoon recreational sailing. The Club runs a sailboat racing program and annually has a presentation of cups and other trophies to winners. A cruise in the River system is usually organized during the Summer. The FYC provides financial and other support to the Fredericton Youth Sailing School, including carrying out of repairs to the School’s boats, during the off-season. The Club operates without paid staff. Preparations for Spring and Winter of the docks and the mooring field are carried out by the members, through “work parties”. The members also do most of their own maintenance work on their boats. When faced with a problem involving mechanical, electrical work, or repairs in wood or fibreglass, it always seems to be possible to find another member who can help, or who has dealt with a similar problem. The City obviously made construction of the building a strong condition of the lease. The leased land had, in the 1800’s, been the site of the Victoria Mill, a sawmill established in 1854 by Alexander Shives, according to the Provincial Archives. 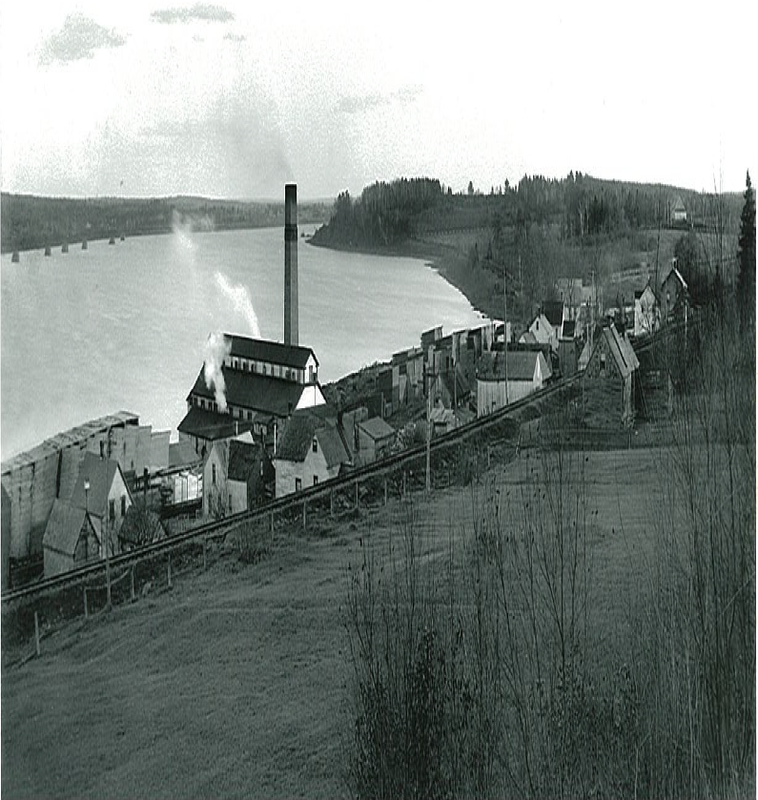 By 1913 the mill had been taken over by the Fraser Company, and the land was subsequently acquired by the City. 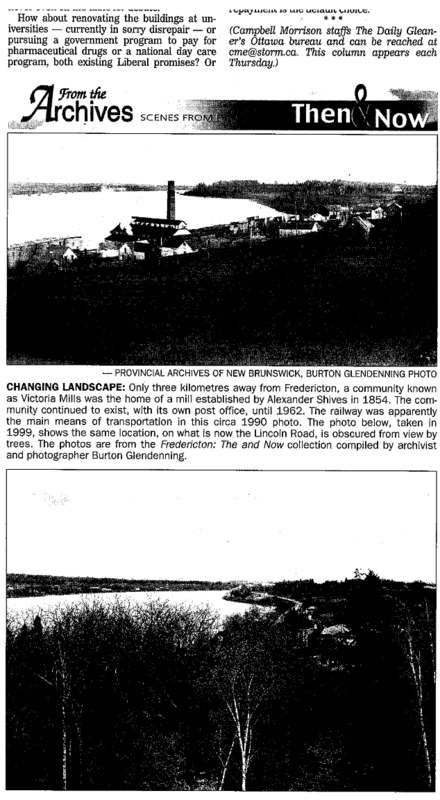 A brief note on this aspect of the history is found in Ted and Anita Jones’s book “Fredericton and Its People 1825 – 1945” which is available in local bookstores, see page 100. Some rather spongy parts of the Boat Yard are attributed to sawdust left over from the sawmill operation. The lease was for a term of 20 years, at a rental of $1.00 per year. It contained particulars of how, on conclusion of the term, if a new lease could not be negotiated, all “edifices and buildings” on the leased land would be appraised and the Club would receive payment therefor from the City. The Club erected the building, and operated a social club, providing dances and other activities, serving alcoholic beverages to the membership. Because, due to the nature of the liquor laws in force at that time, there were no public taverns or bars in operation in New Brunswick, the Club was a popular gathering place. Early during the term of the first lease, the concrete launching ramp was constructed, and the “upper” (ie the up-River) dock, which is of timber construction. The lower dock, which is of sheet-steel pile construction, was built later during this period. Launching and haul-out of all boats was at first handled by skidding the cradles up and down this concrete ramp. Toward the end of the first term, some members began to use a crane for these purposes, and this has more recently become the preferred method. The second lease was entered into on April 5, 1974, for a further term of 20 years, beginning May 1, 1980, for an annual rental of $1.00 per year. By this time, the liquor laws had changed, and there were many places where the public could find alcoholic beverages and entertainment. The Club’s social operation had become marginal, and the executive found itself operating a social club for basically a different group from the boating membership. As the value of the building increased with time, the prospect of buying it from the Club began to wear on the City, and the Club had found that it could get along very well without the building. Accordingly, negotiations took place, and on June 27, 1986, a document was signed surrendering the 1980 lease but continuing the arrangement for the rest of the 20 year term with respect to the Boat Yard portion of the property. The City purchased the building for a lump sum plus annual payments to the Club over the remainder of the term, which payments were required by the City to be spent on the Boat Yard facilities. The land containing the building was severed from the land leased to the Club. The former Club building has since been leased by the City to a succession of commercial enterprises. On March 12, 1997, the business name “Fredericton Yacht Club” was registered, thereby reserving that name for the use of the Club, and it has since normally been referred to by that name, for most purposes. During the Summer months, most Club members have normally kept their boats in Douglas Harbour, in Grand Lake. Around this time the Government of Canada decided to divest itself of some of the wharves along the River. These wharves had been built for the riverboats in a previous century, and most needed repair, which Canada was not interested in carrying out. The Club acquired the Douglas Harbour wharf and the roadway access to it from Canada by a conveyance dated April 11, 1997. Also in April, 1997, the Club purchased the lot of land on the westerly side of the access road to the wharf. A small building containing bathrooms and showers has been constructed on this lot, with the help of a grant from Canada. The Club has installed a pump-out station for the boaters to use to empty their holding tanks (ie toilet facilities). The same septic system is used as for the building. These facilities have been much appreciated not only by the membership, but by visiting yacht clubs and other boaters enjoying the Saint John River system, including many from the U.S.A. The next lease of the Fredericton premises was dated December 11, 1998. It was for a term of 10 years, beginning on June 28, 2000, for an annual rental of $500.00. During this period, the upper dock was expanded a short distance up-River, and the mooring field was much improved. The next renewal was by lease dated July 1, 2010 for a term of 10 years beginning on that date, at an annual rental of $3,000.00, plus 33% of the real property tax on the overall property (ie including the land on which the former Club building is situated). 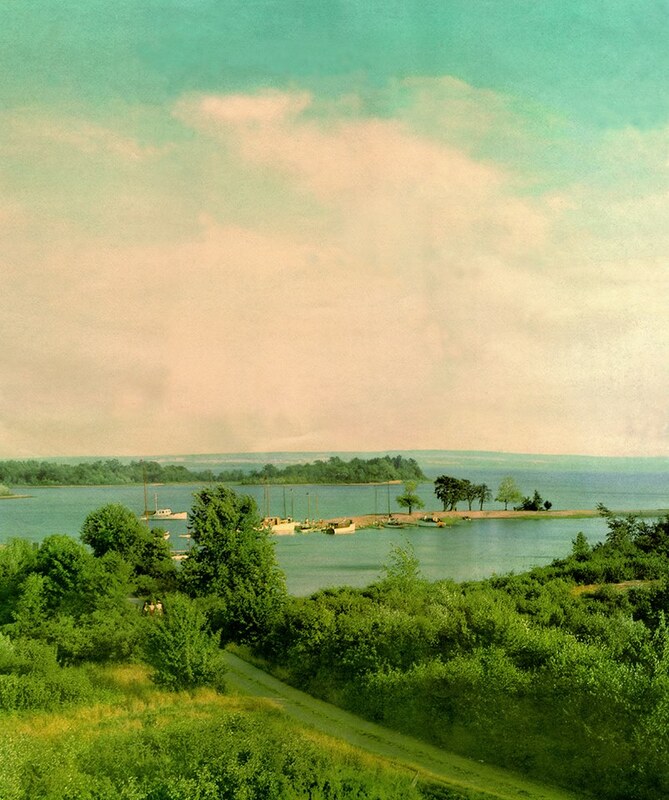 Having entered upon its second 50 years, the Club looks forward to further encouraging boating and other recreational activities on our River, and continuing beneficial relations with the City of Fredericton and the boating public.